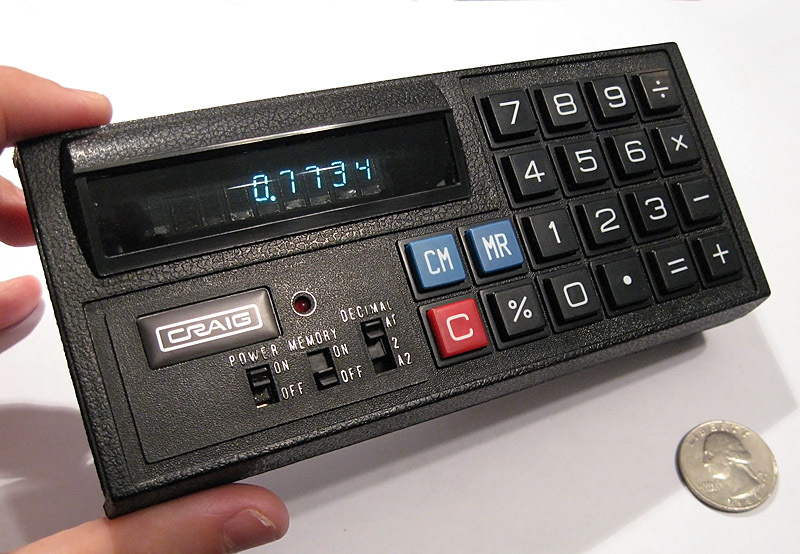 The Craig 4505 is a small, horizontal format four-function calculator that was first released in 1974. 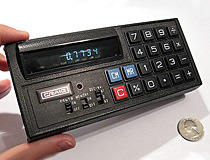 Numerous calculators were made in this horizontal layout in the 1970s, in which the keypad is located to the right instead of below the display. 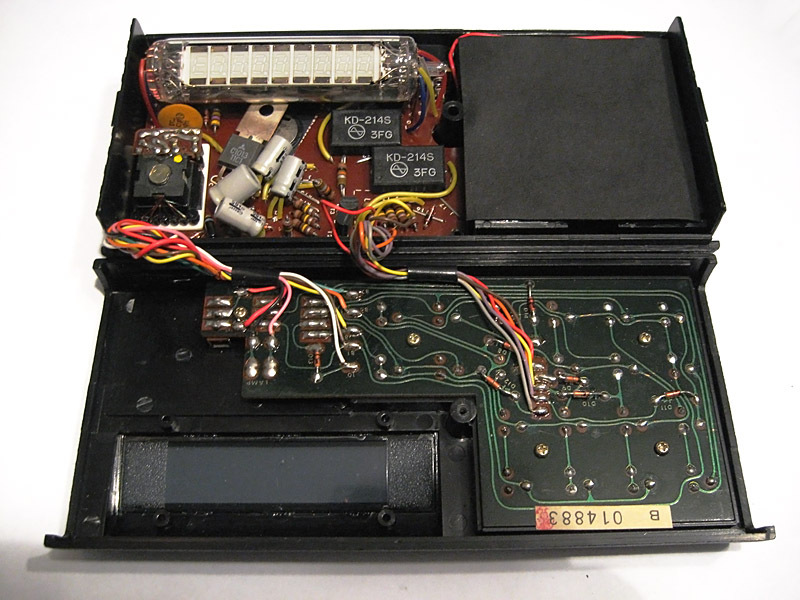 This calculator makes use of a 9 digit, tubular single envelope VFD, similar to the Futaba 9CT06 or Soviet-made IV-21 tube. The Craig 4505 makes use of a Rockwell 15330 calculator-on-a-chip IC to handle most of its functions, this chip is located in a square cutout in the PCB directly below the display. In 1974, the list price for this calculator was $110 US dollars. Craig 4505 pocket calculator, normal operation. Craig 4505, shown with cover removed. The large block located in the left corner is the transformer for the VFD display.